Bonnie grew up on a mixed cattle and grain operation near Warren, MB. Throughout her youth, she was actively involved in the 4-H program and was a member of both an equine and beef club. Prior to attending law school, Bonnie worked for a national agri-retail association. Bonnie obtained her Bachelor of Science (Agribusiness) with a minor in Central and Eastern European Studies from the University of Manitoba in 2013. She graduated from Robson Hall, Faculty of Law, at the University of Manitoba in 2018. Bonnie’s passion for agriculture and the student experience motivated her to become extensively involved in volunteer positions throughout her undergraduate degree including holding executive positions within the Faculty of Agriculture Students’ Organization and the Agribusiness Student’s Association. 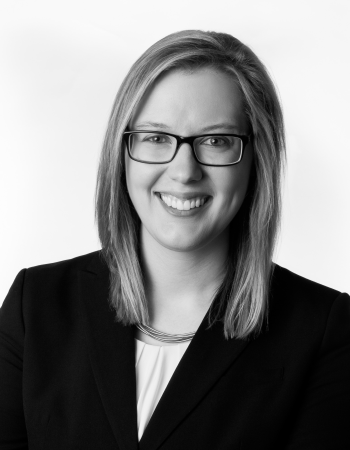 She continued her participation in student governance while obtaining her law degree as the University Senate Representative and member of the Professional Development Committee for the Manitoba Law Students’ Association. Additionally, Bonnie was Vice-President, Communications for the Business Law Group. Bonnie is an avid curler and fan of the game and enjoys watching hockey and football. In her spare time, she also enjoys reading, hot yoga, hiking and spending time on the family farm.